A survey of homeless residents across Colorado identified about 10,900 residents who do not have homes of their own, but are living in shelters or in transitional housing. Experts who work in social services say a federal survey of homeless residents in the United States likely underrepresents the homelessness problem in Colorado. The U.S. Department of Housing and Urban Development released the report this week based on reporting from 3,000 cities and counties in the U.S. According to the Colorado Coalition for the Homeless, the survey counted 1,481 sheltered homeless residents across 18 counties, outside of metro Denver and Colorado Springs on a single night in January 2018. The survey identified 40 homeless residents in La Plata County and 34 in Montezuma County. The number of sheltered residents in La Plata County represents less than 3 percent of those surveyed in the 18 counties. About 10,900 homeless Coloradans were counted as part of the survey. However, 37 counties did not submit data. 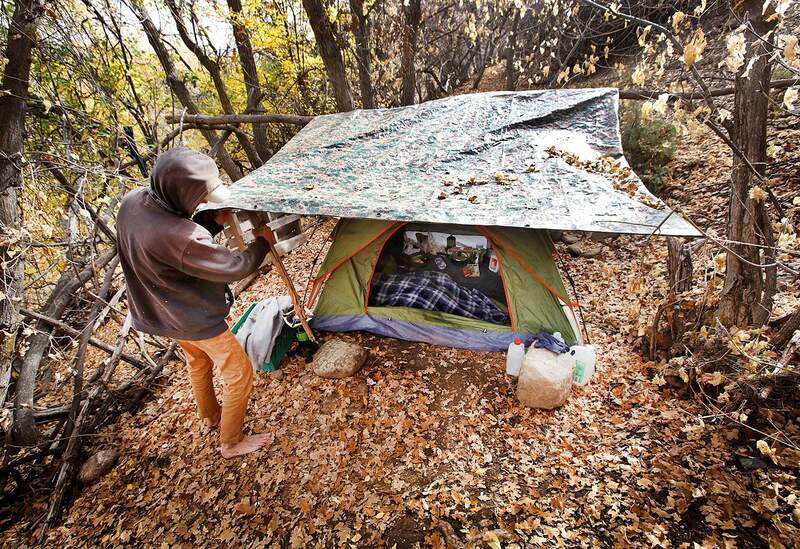 The count also does not include those people camping, sleeping on the street, living in their cars, staying with friends and family, or who decline to be surveyed, said Cathy Alderman with the Colorado Coalition for the Homeless. “The number that we are counting are those we are aware of. ... You can’t count people you don’t know about,” said Elizabeth Salkind, executive director of Housing Solutions for the Southwest. The housing nonprofit is responsible for collecting local data. In La Plata County, the count found nine families with at least one child were homeless. However, the number of homeless families in the count is even more likely to be an underestimate, in part because some are fleeing domestic violence, Salkind said. Next year, the survey is likely to reflect a higher number of homeless families in La Plata County because nonprofits have grant funding to house them temporarily, she said. Housing Solutions, Volunteers of America, Alternative Horizons and Sexual Assault Service Organization received a three-year grant for a transitional housing program for victims of domestic violence, sexual assault, dating violence and stalking from the U.S. Justice Department. According to the report, the survey found that Colorado is the third-highest state in the nation of homeless families with children. It counted 3,250. The total homeless count for Colorado was 10,857 – a decrease of 0.8 percent from 2017. The number of homeless families with children was down 0.3 percent.